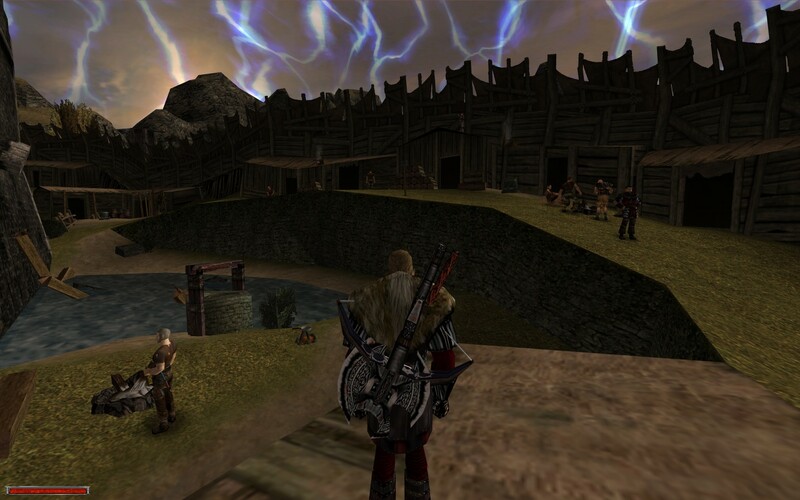 Game platforms: "GOTHIC1", "GOTHIC2: Classic", "GOTHIC2: The Night Of The Raven"
Language: Multilingual support: (English [Bild: GB.gif], Romanian [Bild: RO.gif], German [Bild: DE.gif], Russian [Bild: RU.gif], Italian [Bild: IT.gif], Czech [Bild: CZ.gif], Polish [Bild: PL.gif], Spanish [Bild: ES.gif]). 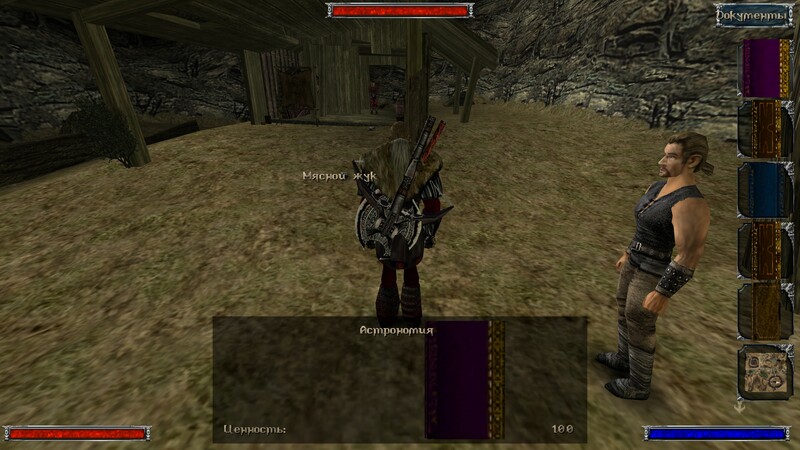 Gothic ½ — SystemPack — is the system and exec files update package, that modifies and develops game working ability of "GOTHIC1", "GOTHIC2: Classic", "GOTHIC2: The Night Of The Raven", mods and addons based on them. • Updating, adapting and supporting GothicStarter for all versions of the game. • Automatic/manual scaling of interface. • Updated "Shw32.dll" memory management library to improve the stability of the game (allocation - CRT). • Disabled limitation video file resolution. • Added support to playback file format *.OGG-vorbis. • Highly increased game start and load speed. 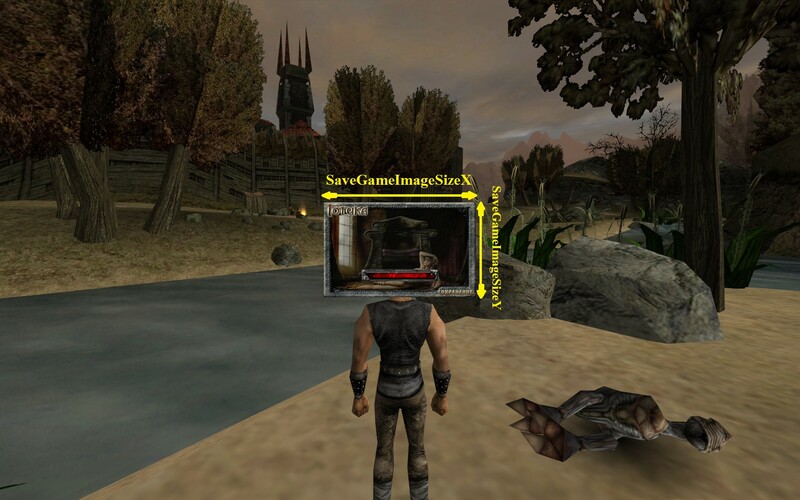 — GothicMod.exe patched with the GothicFps-108 fix by NicoDE. — NO compatibility, correct gameplay and start of modifications based on this pack are impossible! — Correct work with patches and fixes that repair the same bugs which are repaired by System pack tools – NOT guaranteed! 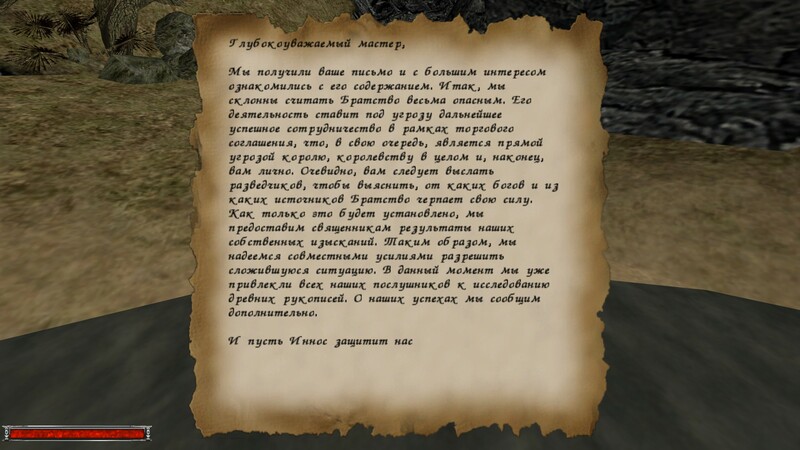 — All modifications and unofficial addons for games "GOTHIC1" и "GOTHIC2: The Night Of The Raven", created by standart tools G1MDK and/or G2MDK are supported. 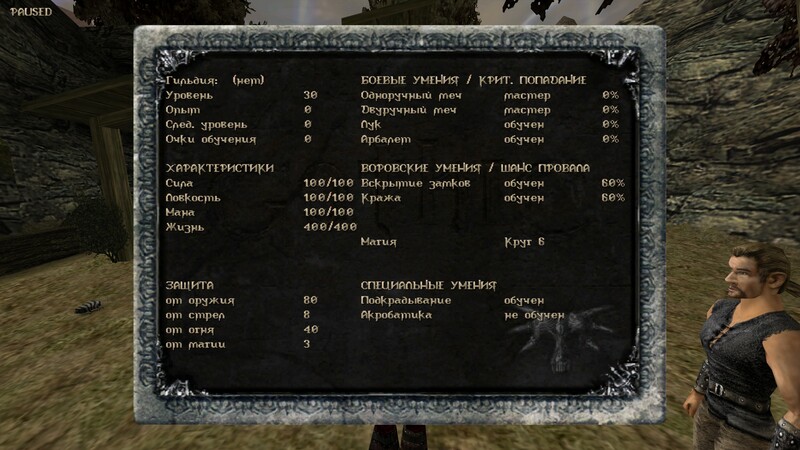 * - requirements are same to addon "The Night Of The Raven". 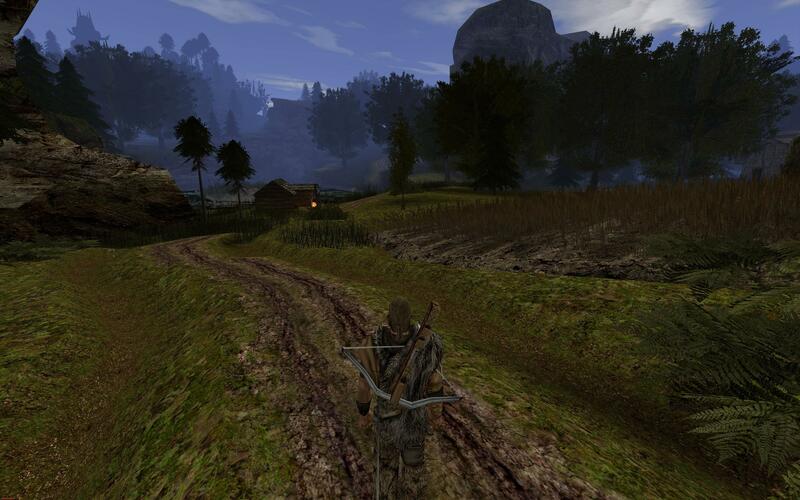 — Increased the number of alphaVOB objects to prevent the game from crashing when rendering huge draw distances. This is due to a built-in check in a function in the Direct3DCreateDevice; if the resolution was greater than 2048 pixels, the device could not be created. The function is now changed so that up to 524288 pixels can be verified, as opposed to the 2048 before. — Increased the amount of memory used by the game to accomodate larger resolutions, otherwise the game crashes when it is full. — Fixed most known problems concerning video playback on all operating systems. — Fixed scaling issues when playing videos in Windows Vista and above; these were originally not being displayed when enabling scaling. — Now uses software scaling to scale videos which increased CPU usage when playing movies compared to the original method (not of any significance for modern systems). — Added support for the video library Framewave, to reduce the load on the CPU (using multithreading and SSE2 if available). — Removed the limit for the resolution of video files. 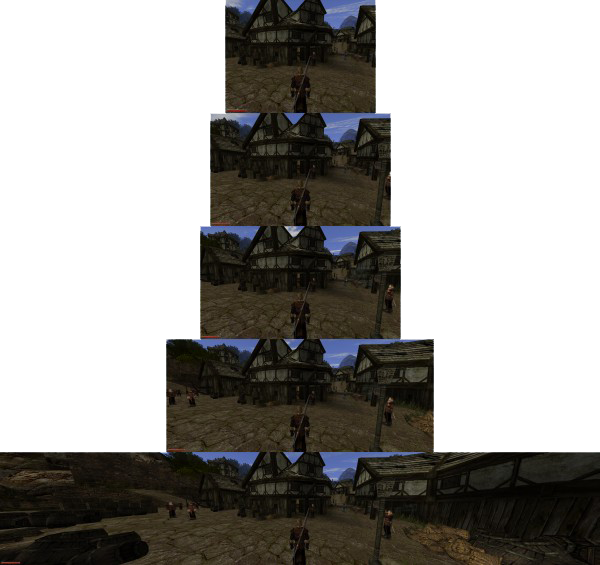 "Gothic" contains a built-in check to ensure that when you open a video file, its resolution is less than or equal to the resolution of the game. This led for example to the fact that when playing at 1024x768 it was impossible to play the video in the resolution 1280x800 since it would simply not open. — Now any video tells the game that it has the same resolution as the game, performing image scaling inside, so that there is no longer a limit on the resolution of video files. — Implemented support for the definition of instructions for SSE/SSE2; previously there might have been freezes, crashes and videos not being played. If there are no instructions for the processor, the hotfix BinkFix will not be used. The library is completely rewritten from scratch while the technology has moved from X3DAudio/XAudio2 to MS. Since X3DAudio is a software library, all that was implemented in it should work fine on any sound card. — Fully implemented basic support for surround sound and reverb (which used to work when selecting EAX2 in the sound driver settings of the game and is now realized with DirectSound 3D HW); this comes into effect in rooms/caves. — Fix for disabled sound on sound cards with a sampling frequency above 48kHz. — Default sound settings when starting the game are 192kHz and active DirectSound3D HW. — Fixed reverb sound for "Gothic 1". — To each sound that uses reverb individual parameters are applied, now sounds using this effect sound as close as possible to the original, due to the implementation of mathematical logic. — Added an option to adjust the reverb sound (option ReverbVolume in SystemPack.ini). — The default value for the volume reverberation multiplier has been changed from 1.0 to 3.0. — The library code is written from scratch. The code has been optimized as much as possible. 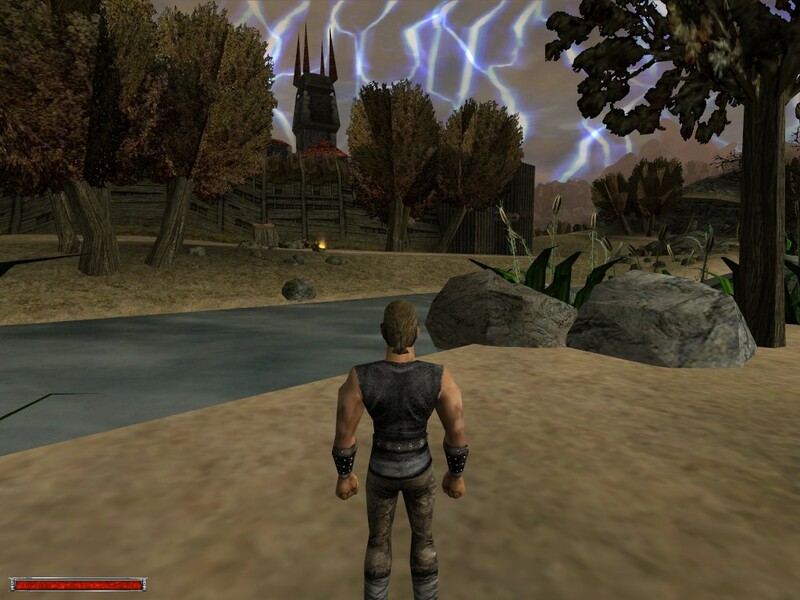 — Library VDFS32G.dll is fully adapted and compatible with the following games: "Gothic 1", "Gothic 2", "Gothic 2: Night of the Raven" and any mods based on them. — Removed all possible blocks and artificial limitations that were present in previous versions of the library. — At startup of the game and the initialization of the VDF system, the file VDFS.dmp is no longer used, instead each time an equivalent will be rebuilt (in memory). • Fixed a problem with the partial logical search for full file names, which prevented the reproduction of dying sounds for the nameless hero. • Fixed bug where the wrong sound effect is selected from the folder SPEECH if it exists in the folder SFX. This version of the VDF library still loads all the old indices from the VDF, but by optimizing the process makes this much faster and in fact real time. — File size maximum 4GB (FS restriction). — Length of the name: file name (not file path!) can have a maximum of 64 characters (63 + 1 backslash), i.e., in "..\_work\Data\", "_work" and "Data" can have a maximum of 63 characters. The whole file path however is not limited in characters. — Startup: 0.523756 sec vs. 15.948714 sec in the original. — Opening a file: 0.000030 sec vs. 0.000073 sec in the original. — Check for the existence of a file: 0.000004 sec vs. 0.000034 sec in the original. — Search for files by name: 0.000006 sec vs. 0.000216 sec in the original. — When hero starts using weapon, while he loot inventory of dead npc, all inventory windows will be automatically close. — Restored operability of quick save/load in "Gothic 1" only for GothicMod.exe (option QuickSaveEnable in SystemPack.ini). 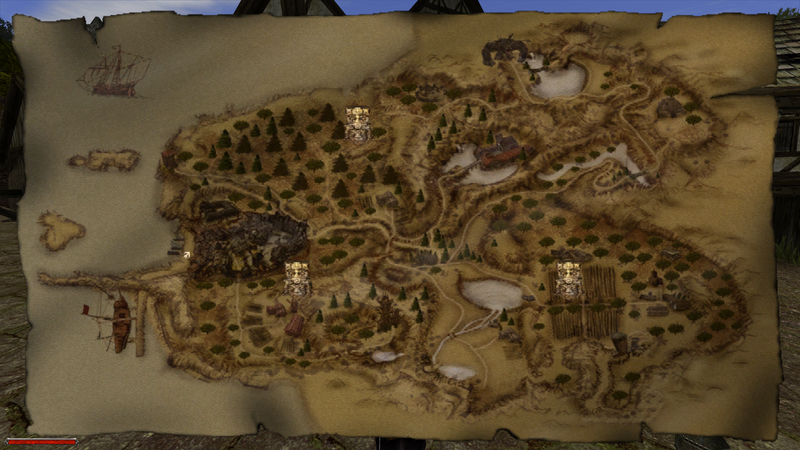 — Remapped save / load keys from F9/F10 to F5/F9, as in Gothic 2. 1. Open inventory, choose item. 2. Press "LMB + Right" or "Ctrl + Right". 3. To throw item press "LMB + Up" or "Ctrl + Up". — Added a check and auto-patching solution for the executable file of "Gothic 2" with the Game_InitEngIntl function in the GOTHIC.DAT file. — Navigation in main menu with WASD. — Fixed minor bugs in the code and the adaptation of the package to compensate for recent changes to Steam. Warning: Any change of the values for all these parameters happens only while running the game, after leaving it, all settings will be returned to their original state! ; ... Color depth (in bit) for the screen resolution, by default the game uses 16.
; ... Activates adding polygons in animated 3D models when loading them in-game, default is 0.
; ... A value to change the texture cache of the game, default: 32000000.
; works like this: if the value is less than 100000000, it is changed, else not. ; ... This value activates all available and supported monitor resolutions in the menu, on (1) or off (0), default the game uses 0. — Fixed autopatching parameter extendedMenu. — To prevent this error: "SmartHeap Library. MEM_BAD_POINTER" from happening, the library has been updated to version 10.00.45; the error however has not been fully fixed and even the updated version does not guarantee its absence. 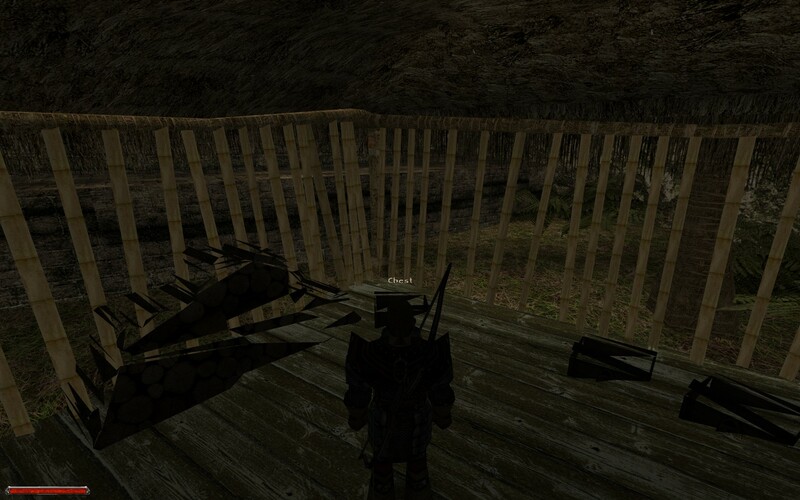 Thankfully this error does not occur too often and if, merely after the game and only in "Gothic 1". What this means is that when you first start the game it will be added to the browser for which the system attempts to download a display picture from the internet. And if there is no internet, or the process rundll32.exe is blocked by antivirus software or a firewall, the game simply does not start. — Drastic steps have been taking to address this problem. In the file responsible for this, AcGenral.dll, the function rundll32.exe has been shut down, so that this process does not interfere with the launch of a game(option FixGameUX in SystemPack.ini). — Fixed problem with running the games if the latest Logitech SetPoint driver were installed, because of which the game appeared in the processes showing no activity at all. The reason was a bug in the SetPoint driver, which prevented a Windows function from working, which is used by every "Gothic" game. Fixed by replacing the obsolete function call with its modern counterpart. — Implemented fix for SteamOverlay; it is now blocked in both versions of the game, statistics works however (requires testing). — Support for reading/loading of volumes MOD/VDF (compressed file); from the directory: "..\System\Splash.bmp" (unpacked) file. Always checks the first MOD/VDF files if the directories of the game have multiple virtual volumes containing the splash screen, then goes on to sort by "date of creation" (as in the original) and eventually selects the newest one. If a mod/vdf file splash-screen is not found, it checks the directory of the game: "..\System". If it did not find there anything as well, the standard one will be loaded from the resources of the exe-file of the game. "Splash" is an unchangeable file name, *.bmp its format, 24-bit color, 500x200 pixels in size. If packaged in a MOD/VDF volume, then it is UPPERCASE; if it is unpacked in the directory: "..\System", then both upper and lower case (case sensitive). In the screenshots 1 and 2 you can see how the NPC model loses polygons if the camera is farther away, while in the third screenshot LOD is disabled. — Added option to disable LOD applied to static and dynamic models (in game); the option to which is in the file (section [PARAMETERS], option DisableLOD in SystemPack.ini). 2. 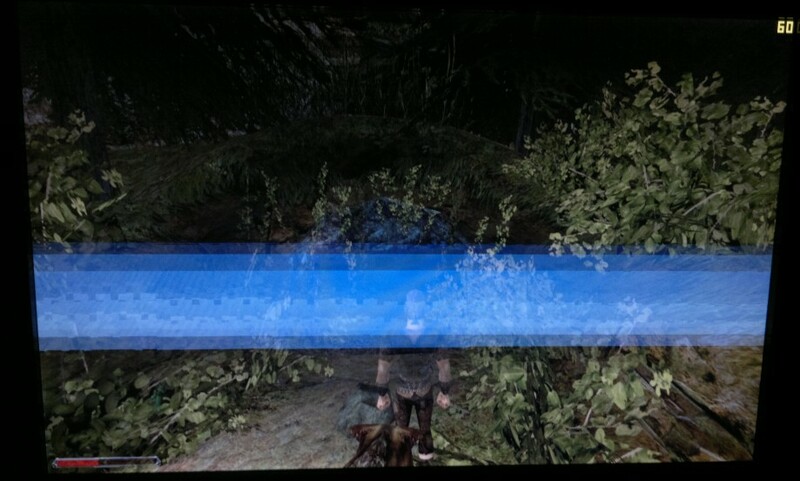 If the LOD is inactive, the body is not displayed at all, at any distance from the camera. 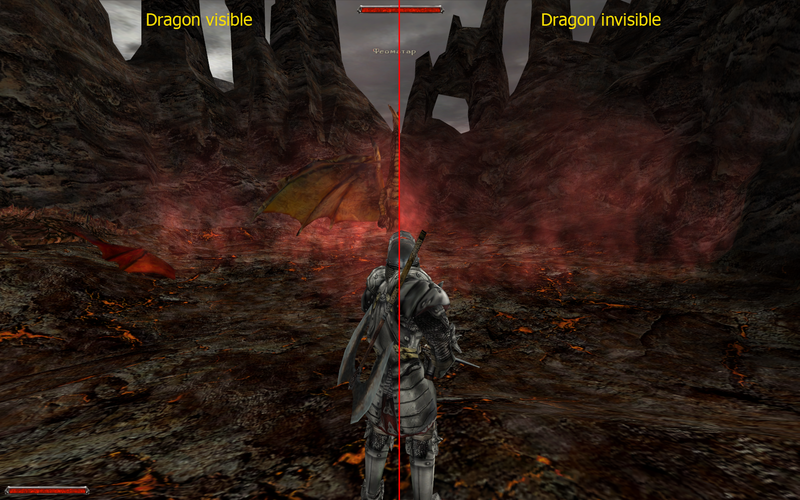 Similar problems arise with the dragons in the original game, if you get too close, they disappear. — Increased value for parameter zPM_NUM_VBUFFER_VERT from 4096 to 65535, which solves the problem of the disappearing models. 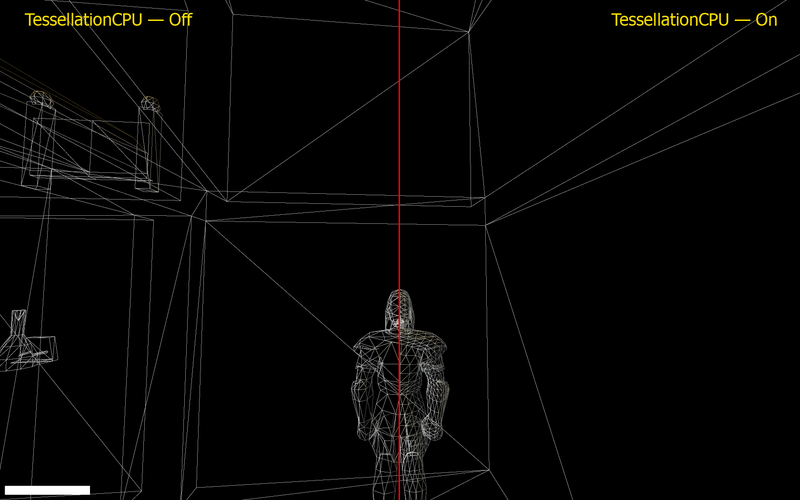 Now when you activate tessellation and change the parameters of the LOD, nothing disappears. 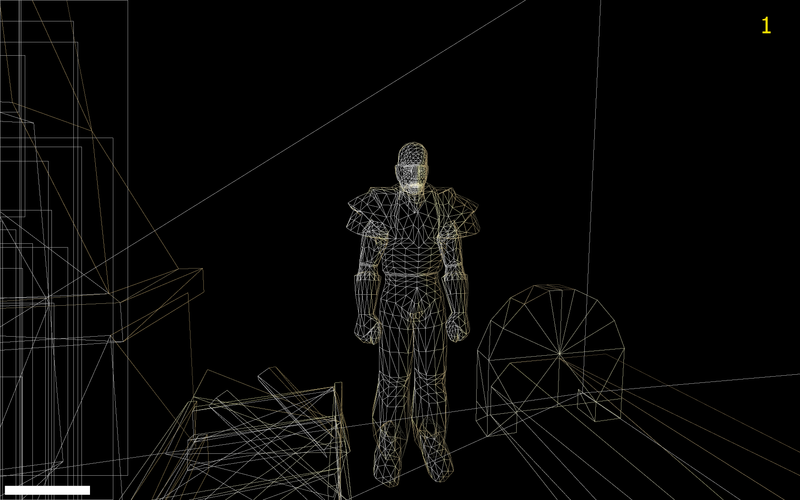 — LOD off, tessellation on: 109 FPS. Made it was impossible to break the interface, setting the value too high, ie, such a situation as the third screenshot is excluded (in at least the original textures of the game). — In the game or mod the shields must be added by modders, who can use the materials from our mod database: SystemPack_mdb.rar. — Changed the value of the 4096 polygons limit in a 3d model to allow for the development of high polygon models; the maximum is now: ~40-45 thousand vertices (~70-80 thousand polygons) in a single mesh model. 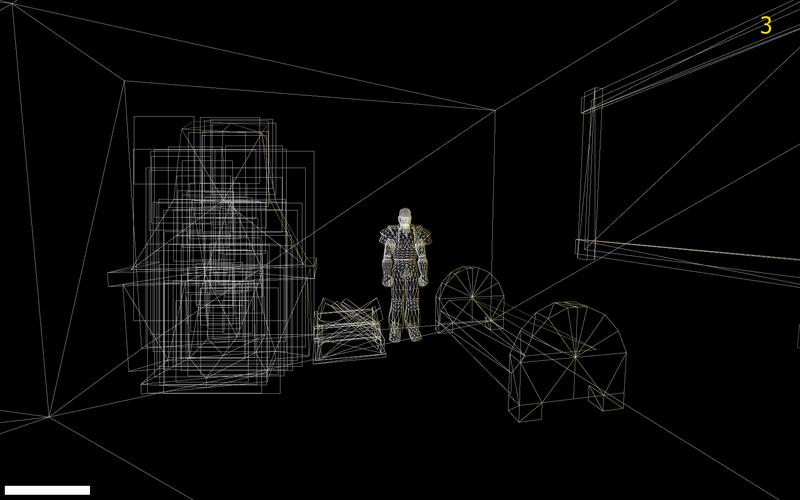 Models with a large number of polygons, without major changes to the engine will not be displayed! — Added a changeable value for the 3D models and animations cache for using high polygon models in the game to prevent a potential game crash. This can be found in the file (SystemPack.ini option s_posCacheList). — Added support for OGG vorbis file format for the voiced dialogue and sound effects of the game, to reduce the size of files, modifications and add-ons for the game. Note: For more information on working with this file type, see the file "systempack_mdb.rar", catalog: "Ogg2Wav". Not every mentioned option will be available in your INI-file, because some of them depend on platform: they will be activated and full-functional only in specific game version! ; Attention: File SystemPack.ini becomes available only after first game start! 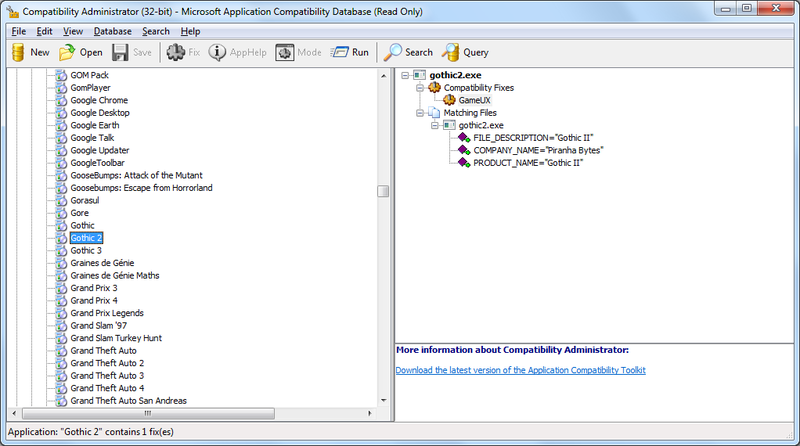 ; ... fix for GameUX and rundll32 process in OS WinVista, Win7, is on (1) or off (0). 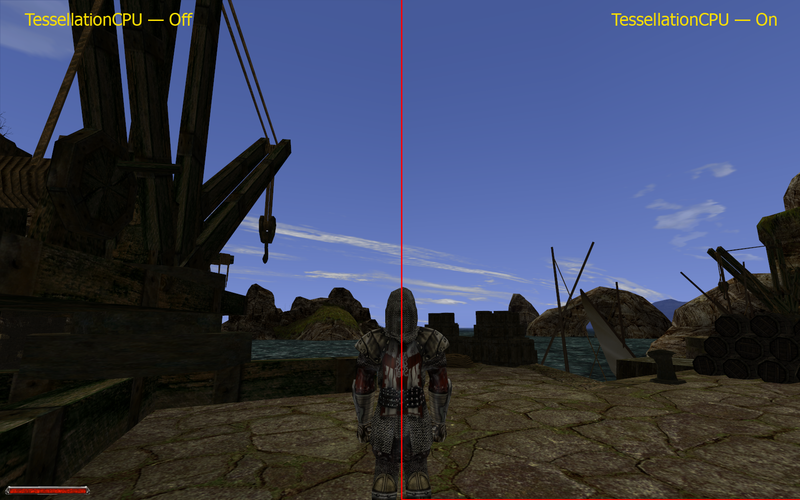 ; ... fix, deletes flag WRITEONLY when vertex buffer created, for solving problems with radial for and textures. ; - on (1) or off (0), value by-default: 1, for all vidocards. Possible performance decrease by 10-15%. ; ... Turns on windowed mode without a frame - on (1) or off (0), default is 0.
; recommended to include only if you have problems with operating the game in full screen mode. ; ... disables odd stream for game resource manager (ResourceManager), on (1) or off (0), default is 1.
; ... fix for plug in the Temple Sleeper, on (1) or off (0), default is 1.
; works even if there is 1000 FPS, I guess does not influence on other plugs. 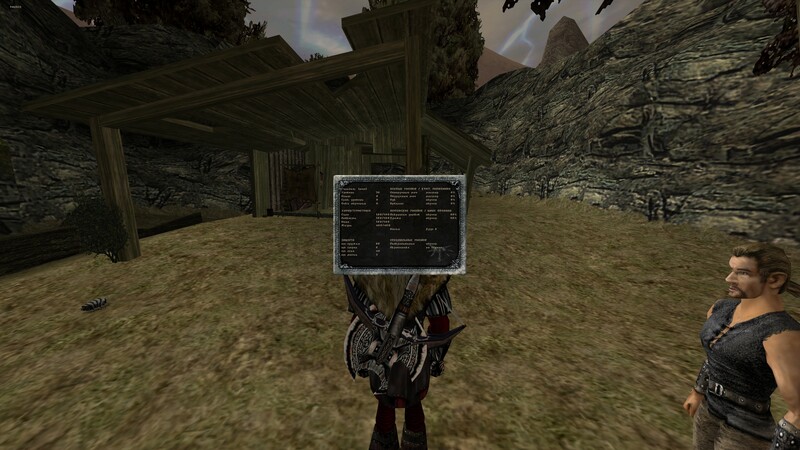 ; ... active NumLock getting disabled at the start of Gothic 1 fix, on (1) or off (0), default is 1.
; ... disables cache unloading when minimizing the game, on (1) or off (0), default is 1.
; ... quick save/load activated once again in Gothic 1, on (1) or off (0), default is 1.
; this function uses the 15-th slot in the game. Keys: F5 - quicksave, F9 - quickload. 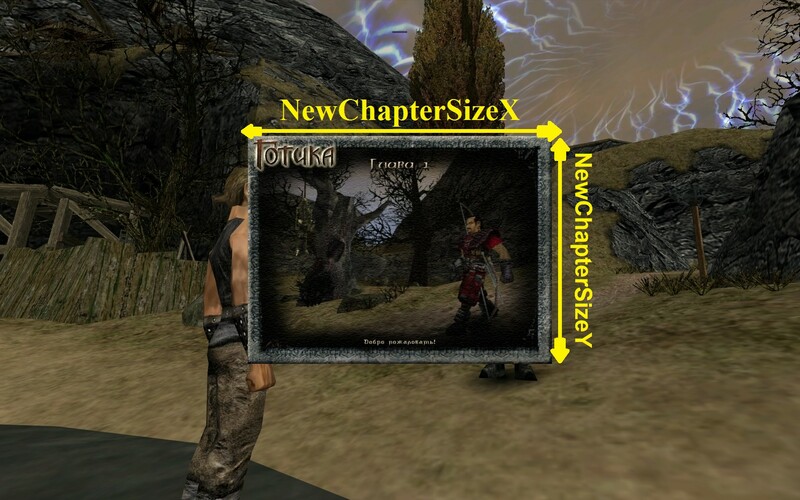 ; now works properly in console, on (1) or off (0), default is 1.
; ... Activates changes made to accomodate the keyboard for the Polish localization of the game - on (1) or off (0), default is 0.
; ... fire PFX-effects fix for Gothic 1, on (1) or off (0), default is 1.
; ... Unlock strafe during a jump/fall, - on (1) or off (0), default is 0.
; ... show internal FPS counter, - on (1) or off (0), default is 0.
; Attention: the built-in FPS counter does not display values greater than 256 FPS. ; ... Disables the output of the error message "D: OBJ:?! Deleting an already deleted zCObject ?! ", - on (1) or off (0), default is 1.
; ... Disables swimming animation in walk mode - on (1) or off (0), default is 0.
; ... fix, changes pinging of script Game_InitEnglish to Game_InitEngIntl, on (1) or off (0), default is 1.
; but in Russian version, in script Startup.d it is Game_InitEngIntl, that's why the EXE file did not work with Russian version. ; for those game versions where there is Game_InitEnglish in script Startup.d, this option needs set to (0). ; ... auto patching D3DIm700.dll for high resolution support, on (1) or off (0), default is 1.
; with options available for: gamma, brightness, and contrast. ; Windows 8 and 8.1 have no problems with FPS, it's recommended for everyone. ; options: gamma, brightness, contrast (not needed, but often used). ; full screen mode do not work at all. It only works on Windows 8 and above. Default is 1.
; ... fix for video playback on any OS, on (1) or off (0). ; ... fix for surround audio system, on (1) or off (0). ; unknown file which the System Pack changes were not applied to. ; ... automatically set inner option of "SystemPack" for graphic cards nVidia and ATI – DO NOT CHANGE! ; (LMB+W or CTRL+W), - on (1) or off (0), default is 0.
; ... limit FPS at pressing any keyboard button, - on (25-100) or off (0), default is 0.
; value of the option for changing vFOV according to previous formula: for displays 16:10 – (56.25), for displays 16:9 – (50.625). 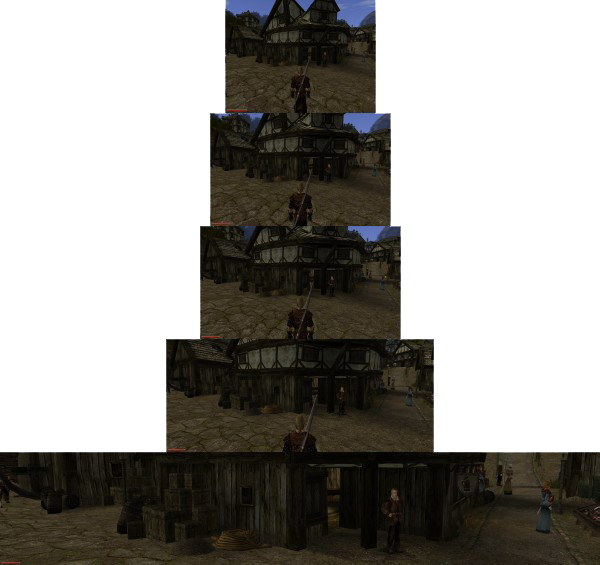 ; ... Activates alternative method of FOV calculation, to avoid displayment of stretched models - on (1) or off (0), default is 0.
; ... disables progressive LOD for *.3ds models, - on (1) or off (0), default is 0.
; ... Disables clipping of objects in Indoor locations - on (1) or off (0), default is 1.
; ... despawn NPC distance, default is 5000.
; default is 1000, measure unit is milliseconds. ; ... game world view/render distance multiplier, default is 1.
; limitation for multiplier if render distance is 300% in game options: 10 for Gothic.exe, 26 for any other. 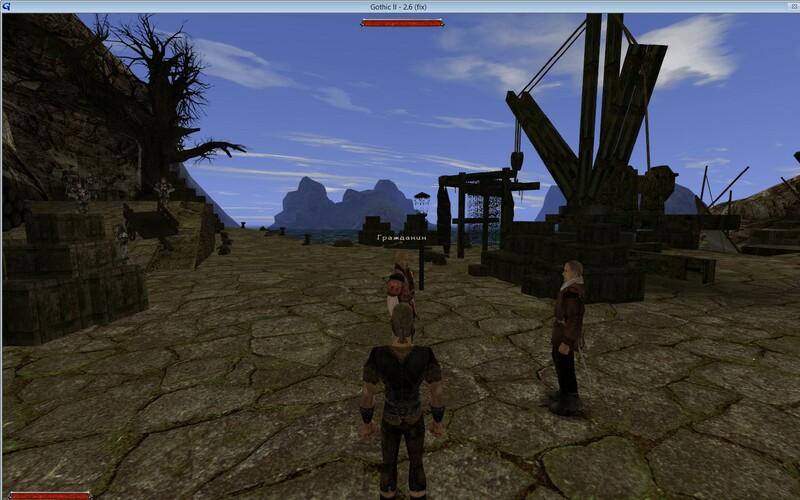 ; ... portal delete distance multiplier, default is 1.
; OutDoor – if Main Char is out of buildings/dungeons – is outside. 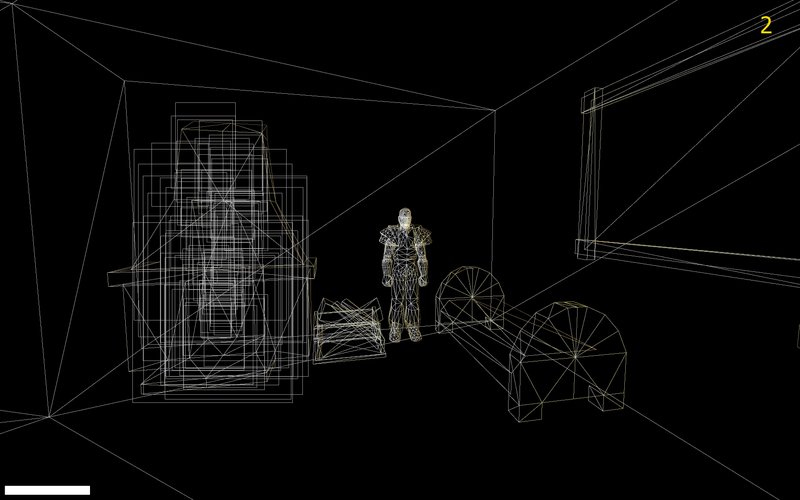 ; InDoor – if Main Char is inside a building/dungeon – is in a house. 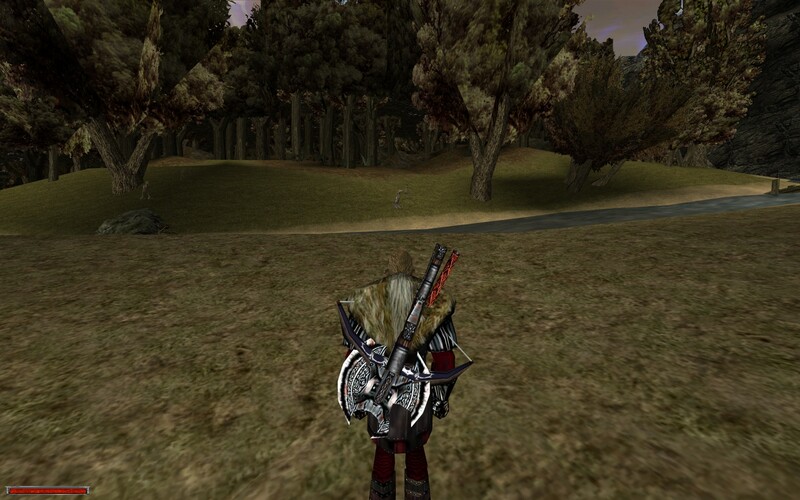 ; Wood – forest portal render range, this portal type is actual only for "GOTHIC1". 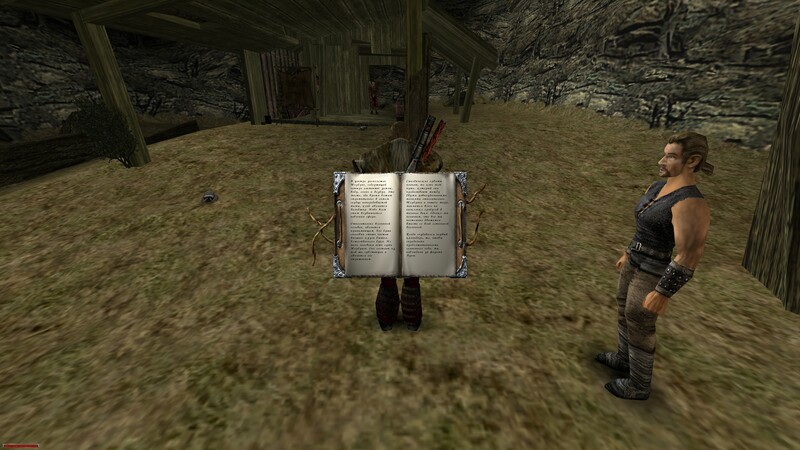 ; ... Char rotate speed using mouse in "GOTHIC1", default is 0.1.
; ... shield class support fix for the following files: Gothic2.exe(GOTHIC2:NoTR) and GothicMod.exe(GOTHIC1), on (1) or off (0), default is 1.
; ... Disables the selection of animations for all assigned keys - on (1) or off (0), default is 0.
; ... Forces assignment of LMB and RMB (any other key will not work), disables the selection of animations for the RMB - on (1) or off (0), default is 0.
; WARNING: The engine only supports assigning two buttons per action. These options are mutually exclusive, simultaneously only one of them may operate! ; if you want Ctrl, but do not want the animation, use: No_Take_Anim=1, RMB_No_Take_Anim=0. ; if you do not want the animation bound to RMB, use: No_Take_Anim=0, RMB_No_Take_Anim=1. ; if you want the animation, use: No_Take_Anim=0, RMB_No_Take_Anim=0. ; ... Rotate items in inventory, - on (1) or off (0), default is 1.
; ... hide focus for dead NPCs with empty inventory, - on (1) or off (0), default is 1.
; ... check ITEM_THROW flag, to allow throw item, - on (1) or off (0), default is 1.
; ... hold key auto-repeat speed in "GOTHIC1", default is 70.
; recommended values: from 10 to 300.
; ... time before hold key auto-repeat starts in “Gothic I”, default is 140.
; recommended values: from 100 to 1000.
; ... highlight effect for NPC in focus, - on (1) or off (0), default is 1.
; ... highlight effect for item in focus, - on (1) or off (0), default is 1.
; ... flicker effect for item not in focus, - on (1) or off (0), default is 1.
; ... interrupt animation in fight, - on (1) or off (0), default is 0.
; ... The multiplier for volume reverberation, the higher the value, the louder the sound reflection effects. The default is 3.0.
; The volume of the reverb as a multiplier for all - relative reverb different sounds should be as in the original game. ; ... Displays the visual effect of the Barrier continuously - on (1) or off (0), default is 0.
; ... Disables the visual effect of the Barrier - on (1) or off (0), default is 0.
; ... Disable sound of barrier, - on (1) or off (0), default is 0.
; ... disable damage from barrier, - on (1) or off (0), default is 0.
; ... Automatic interface scaling, resolution 1024x768 used as base for autoscale algorithm. ; on (1) or (1.1 ... and higher), - Interface scaling in n-times on the discretion of the user. ; maximum value depend on vertical resolution. ; for exapmle, for 1920x1080 it will be 1080/512 = 2.10.
; for 3840x2160 it will be 2160/512 = 4.21.
; higher values will be readed as maximum value. ; off (0), - without scaling. Default is 1.
; ... any menu will be scaled if this option enabled, - on (1) or off (0), default is 0.
; ... menu size X, for auto scale, default is 640, in pixels. ; ... menu size Y, for auto scale, default is 480, in pixels. ; ... dialogue and subtitle window size settings (in pixels). 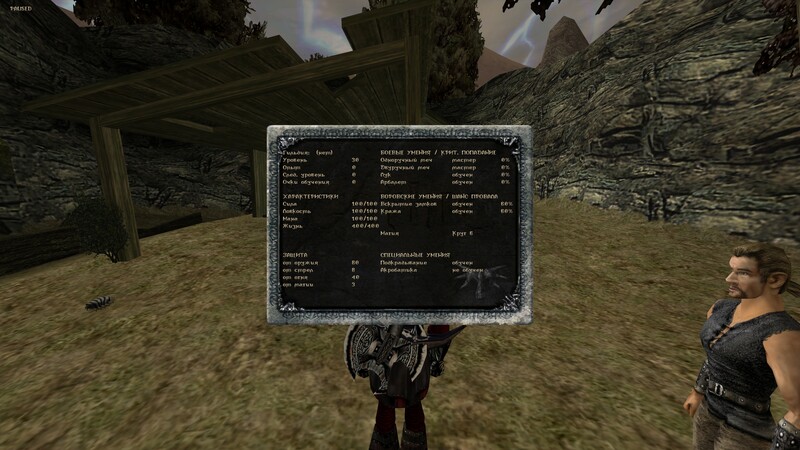 ; ... mana bar settings: is always invisible (0), is only visible when the hero is holding a spell in his hand (1), is always visible (2), default in the game 1.
; ... remaining air bar (for swimming underwater) settings: is always invisible (0), is only visible when underwater (1), is always visible (2), default in the game 1.
; ... life bar settings: is always visible (0), is always invisible (1), default is 0.
; ... The size of the interface elements in the game: Starting a new chapter, Saving the game, Description of items, measured in pixels. 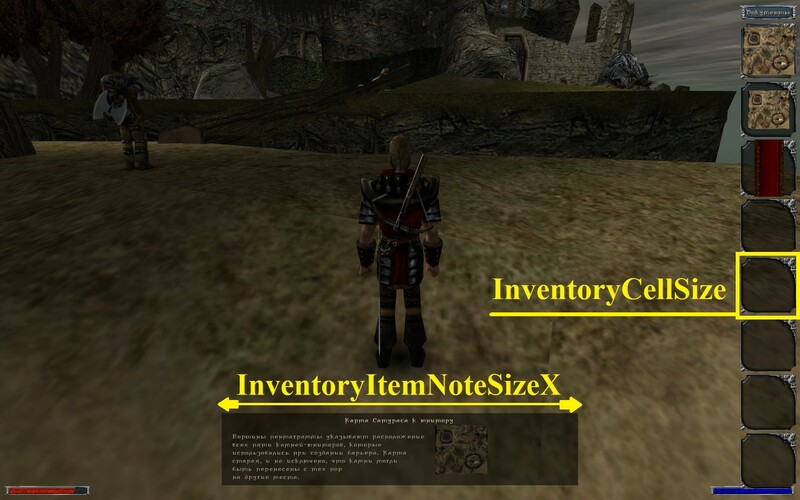 ; ... Change the size of the inventory's cells, - minimum (10), default is 70, measured in pixels. 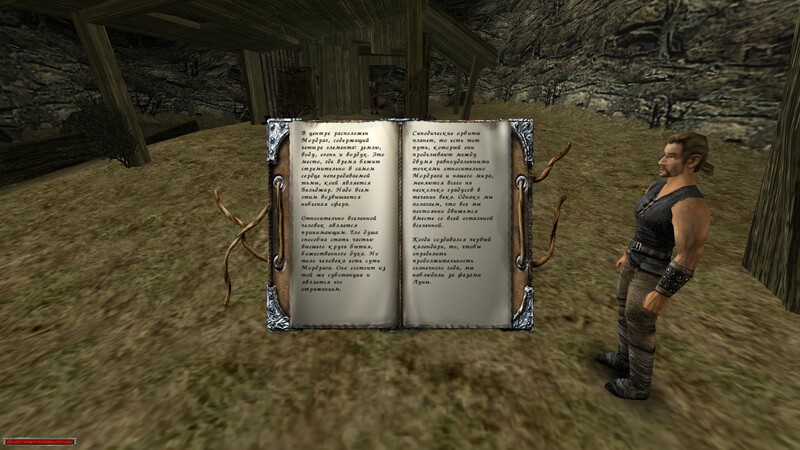 ; Important: it is only used in "Gothic 1". ; ... Turns on the subtitle display time management - on (1) or off (0), default is 0.
; must be enabled to manage the subtitles. ; ... The time factor for phrases with voice dialogue files. ; This means that there is one phrase uttered for a duration of 10 seconds with the multiplier 2.0 so that the subtitles for it are displayed for 20 seconds. ; ... Maximum time in seconds to display the subtitles without the voice file. ; ... The time in milliseconds to display a subtitle character without voice dialogue file. ; for example, when TimePerChar=200.0, the phrase, "Can you teach me how to fight?" contains 30 characters, so it will appear 30 * 200/1000 = 6 seconds. ; ... Enables changes designed for addon "Returning 2.0" - on (1) or off (0), default is 0.
; ... Show "OutOfMemory" error in output window - on (1) or off (0), default is 1.
; ... message box shows error message "OutOfMemory", - on (1) or off (0), default is 0.
; or off (0), to catch only an OutOfMemory, which occur when calling methods of shw32.dll, default is 1.
; ... Adjustable value (in the range of 5 to 300 MB) for the backup storage library in case of error "OutOfMemory". ; this memory will not be available for the game, but allows it to be closed as correctly as possible in the event of its occurrence. ; default value: 50 MB, measured in megabytes. None - patch without checking. — If there was other version of "SystemPack", remove it with deinstallator. — Delete all packs/patches and other fixes (if were installed), which were to fix bugs that are fixed by this System Pack. We do not guarantee proper work – the Compatibility has not been tested. — Update your audio and video drivers to latest version. 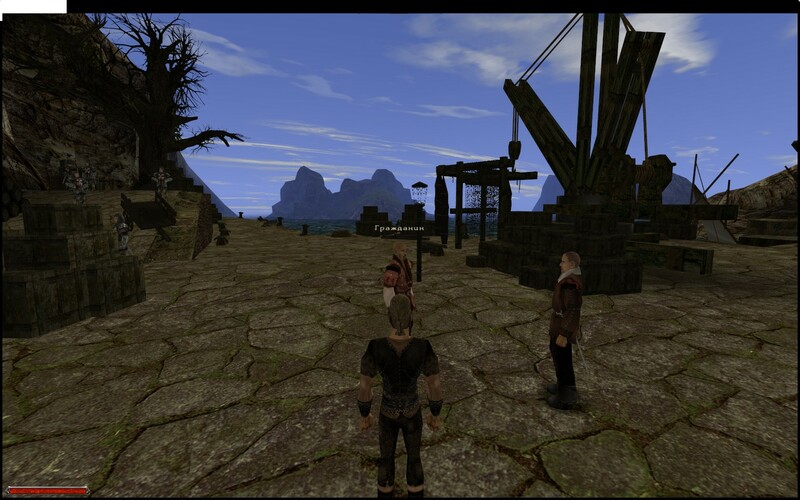 For "GOTHIC2: Night of The Raven"
2. 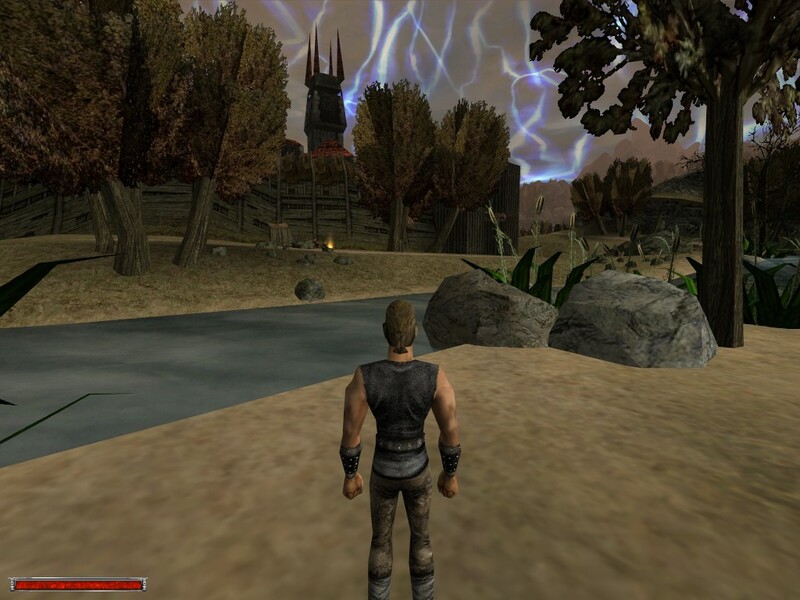 Install addon "GOTHIC2: The Night Of The Raven"
* - only 'The Returning-2.0'. ** - depending on addon that you choose. Gothic ½ - SystemPack — das ist ein Updatepacket, welches das Sytem und die ausführbare .exe-Datei von Gothic 2 verändert. 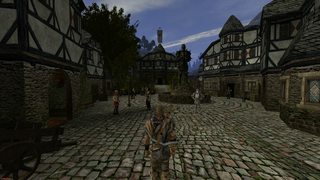 Gothic1, Gothic 2 "Classic" sowie Gothic 2 "Die Nacht des Raben" und etwaige Addons/Mods können durch dieses SystemPack problemlos starten. Allerdings gilt das nicht für ausnahmslos alle Addons/Mods, sondern nur für die bisher getesteten, die im unteren Abschnitt erwähnt werden. • Aktualisierungen, Anpassungen und Unterstützung für den GothicStarter für alle Versionen des Spiels. • Selbstständige/händische Angleichung der Benutzeroberfläche. • Speicherverwaltungsbibliothek "Shw32.dll" wurde erneuert, um Spielabstürze zu vermeiden (Zuweisung - CRT). • die Begrenzung für die Videoauflösung wurde aufgehoben. • Wiedergabe von *.OGG-vorbis-Dateien wird nun unterstützt. • Spielstart und Streams werden um einiges schneller geladen. • Set Model Geschwindigkeit hinzugefügt. — gepatchte Version der GothicMod.exe durch den FPS-Patch 108 von NicoDe. — die Funktionalität von Mods und der Spielfluss basierend auf dieses SystemPack ist nicht gewährleistet bzw. kompatibel! — Patches und Fixes, welche die gleichen Funktionen wie das SystemPack ausüben, können zu Inkompatiblitäten führen! * - Voraussetzung ist das Addon "Die Nacht des Raben". — Die Anzahl von alphaVOBs wurde erhöht, um Spielabstürze zu vermeiden, wenn gewaltige Sichtweiten berechnet werden. Dies ist einer eingebauten Überprüfung in einer Funktion im Direct3DCreateDevice geschuldet gewesen; falls die Auflösung mehr als 2048 Bildpunkte hatte, konnte eben jenes nicht erstellt werden. Die Funktion wurde geändert, sodass nun bis zu 524288 Bildpunkte überprüft werden können. — Der Arbeitsspeicherverbrauch des Spiels wurde erhöht, damit höhere Auflösungen problemlos angewendet werden können – andernfalls stürzt das Spiel ab, wenn der Speicher vollgelaufen ist. — Unterstützung für die Festlegung von Anweisungen für SSE/SSE2 wurde hinzugefügt; vormals konnte das Spiel einfrieren oder abstürzen, oder Filme wurden nicht abgespielt. Falls es keine Anweisungen für die ZVE gibt, wird die Fehlerbehebung "BinkFix" nicht verwendet. Die Anwendungsbücherei wurde von Grund auf neu geschrieben, wobei ein Wechsel von X3DAudio/XAudio2 hin zu MS vollzogen wurde. Da X3DAudio bereits eine Anwendungsbücherei ist, sollten sich aus dieser Änderung keine neuen Schwierigkeiten mit irgendwelchen Klangkarten ergeben. — Grundlegende Unterstützung für Umgebungsklang und Widerhall vollständig eingebaut (deren Darstellung war ursprünglich möglich, in dem man EAX2 in den Klangtreibereinstellungen des Spiels auswählte und wird nun mithilfe von DirectSound 3D HW umgesetzt); dies kommt vor allem in Räumen und Höhlen zur Geltung. — Der Standardwert des Vervielfältigers des Lautstärkewiderhalls wurde von 1.0 zu 3.0 geändert. — Bei Spielbeginn und dem Anspringen des VDF-Systems wird die Datei VDFS.dmp nicht länger benutzt, stattdessen wird jedes Mal eine Entsprechung (im Speicher) neu erstellt. • Ein Fehler in Zusammenhang mit der logischen Teilsuche von vollen Dateinamen behoben, die das Auftreten der Sterbegeräusche des namenlosen Helden verhindert hatten. • Problem behoben, bei dem das falsche Geräusch aus dem Ordner "SPEECH" ausgewählt wurde, falls es im Ordner "SFX" vorhanden ist. Diese Ausgabe der VDF-Bücherei lädt weiterhin all die alten Kennziffern aus der VDF, doch durch eine Verbesserung des Arbeitsablaufs geschieht dies viel schneller, in Echtzeit sogar. — Länge des Namens: Dateiname (nicht Dateipfad!) darf nur 64 Zeichen enthalten (63 + 1 Rückstrich), d. h. beispielsweise für den Pfad "..\_work\Data\", dass "_work" und "Data" je 63 Zeichen enthalten dürfen. Der gesamte Dateipfad selbst besitzt jedoch keine Zeichenobergrenze. — Startzeit: nun 0.523756 Sek. gegenüber vormals 15.948714 Sek. — Öffnen einer Datei: nun 0.000030 Sek. gegenüber vormals 0.000073 Sek. — Überprüfung des Vorhandenseins einer Datei: nun 0.000004 Sek. gegenüber vormals 0.000034 Sek. — Suche nach Dateien anhand des Namens: 0.000006 Sek. gegenüber vormals 0.000216 Sek. — Wenn der Held beim Plündern eines toten NSCs die Waffe zieht, schließen alle Inventarfenster automatisch. — Speichern- u. Ladentasten von F9/F10 auf F5/F9 gelegt, wie in Gothic 2. 3. Um einen Gegenstand wegzuwerfen, drücken Sie "Linkmaus+Oben" oder "Strg+Oben". — Weggeworfene Gegenstände erhalten nun die Flagge "ITEM_DROPPED". — Eine Überprüfung und selbstständige Erneuerung für die ausführbare Datei von "Gothic 2" wurde mit der "Game_InitEngIntl"-Funktion in der "GOTHIC.DAT"-Datei hinzugefügt. — Navigation im Spielmenü mit WASD. — Kleinere Fehler behoben und die Anwendung mit der neuesten Fassung von Steam tauglich gemacht. Warnung: Jegliche Änderungen an all diesen Kennwerten passieren nur während des Spiels, nachdem es beendet wurde, werden die Einstellungen auf ihre Ursprungswerte zurückgesetzt! ; ... Farbtiefe (in Bit) für die Auflösung, standardmäßig werden 16 verwendet. ; ... Schaltet das Hinzufügen von Polygonen in animierten 3D-Modellen ein, wenn man sie im Spiel lädt, Standardeinstellung: 0.
; ... Ein Wert um den Texturzwischenspeicher des Spiels zu ändern, Standardeinstellung: 32000000.
; funktioniert folgendermaßen: wenn der Wert kleiner als 100000000 ist, wird er geändert, wenn nicht, dann nicht. ; ... Dieser Wert schaltet alle verfügbaren und unterstützten Bildschirmauflösungen im Menü frei, an (1) oder aus (0), Standardeinstellung 0. — Um diesen Fehler zu vermeiden: "SmartHeap Library. MEM_BAD_POINTER" wurde die Bücherei auf Fassung 10.00.45 angehoben; dieser Fehler wurde jedoch nicht vollständig behoben und selbst die neue Fassung gewährleistet nicht seine Abwesenheit. 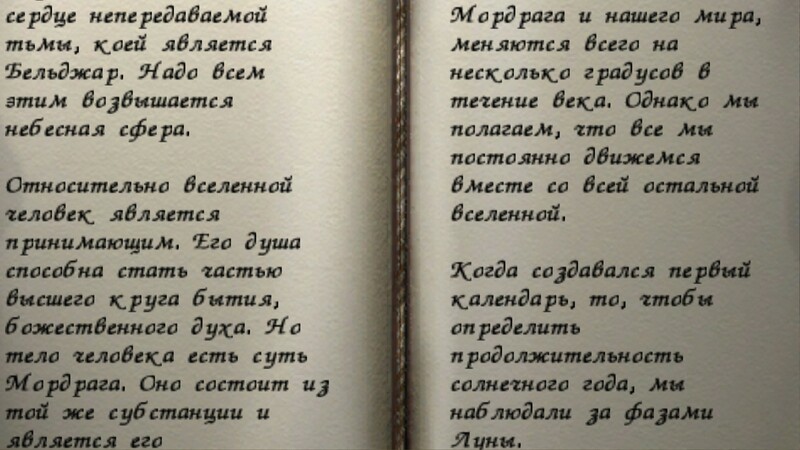 Glücklicherweise tritt dieser Fehler nicht oft auf und wenn doch, dann nur nach Beendigung des Spiels und auch nur bei "Gothic 1". Das bedeutet, dass beim ersten Starten das Spiel zum Betrachter hinzugefügt wird, wobei das Betriebssystem versucht ein Anzeigebild aus dem Weltnetz herunterzuladen. Falls hierbei keine Verbindung zustande kommt oder der Vorgang rundll32.exe von einem Antivirenprogramm unterbunden wird, startet das Spiel einfach nicht. — Um dieses Problem zu beheben wurde zu drastischen Mitteln gegriffen. In der entsprechenden Datei, AcGenral.dll, wurde der Vorgang rundll32.exe abgeschaltet, sodass er keine Probleme beim Start des Spiels verursacht(Einstellung FixGameUX in SystemPack.ini). — Problem behoben, das auftrat, wenn der neueste "Logitech SetPoint"-Treiber installiert war. Dadurch schien das Spiel in den Prozessen keinerlei Aktivität zu zeigen. Der Grund dafür war ein Fehler im Treiber, der verhinderte, dass eine Windows-Funktion, die von jedem "Gothic" verwandt wird, ordnungsgemäß ausgeführt werden konnte. Behoben, indem die Funktion durch ihr neues Gegenstück ausgetauscht wurde. — Fehlerbehebung für das Einblendungsmenü von Steam; er ist nun in beiden Fassungen des Spiels nicht mehr aufzurufen, die Erfassung der Daten funktioniert jedoch weiterhin (bedarf einer Überprüfung). — Unterstützung für das Lesen/Herunterladen der Volumen "Mod"/"Vdf" (verdichtete Datei) aus dem Verzeichnis: "..\System\Splash.bmp" (entpackte) Datei. Überprüft immer zuerst in den ersten "mod"/"vdf"-Dateien, ob die Verzeichnisse des Spiels mehrere virtuelle Volumen haben, die den Begrüßungsbildschirm enthalten und sorted dann nach "Datum der Erstellung" (wie ursprünglich) und wählt letztendlich die neueste Fassung aus. Wenn ein Begrüßungsbildschirm in den "mod"/"vdf"-Dateien nicht gefunden wird, wird das Verzeichnis "..\System" überprüft. Falls dort nichts gefunden wird, wird der standardmäßige aus den der ausführbaren Datei des Spiels zur Verfügung stehenden Mittel geladen. Der Dateiname "Splash" ist unabänderlich, Format: *.bmp, 24-bit-Farbe, Größe: 500x200 Pixel. Wenn in einer "mod"/"vdf" gepackt, dann alles in Großbuchstaben, wenn ungepackt im Verzeichnis "..\System", dann Unterscheidung zwischen Groß- und Kleinschreibung. Auf den Bildern 1 uns 2 kann man einen Nicht-Spieler-Charakter sehen, dessen Modell Polygone verliert, wenn die Kamera weiter weg, wohingegen im dritten Bild die Detailstufen nicht eingeschaltet sind. - Einstellung hinzugefügt, Detailstufen, die auf un/bewegliche Modelle (im Spiel) angewendet werden, ausschalten zu können; dies kann man hier ändern (Abschnitt [PARAMETERS], Einstellung DisableLOD in SystemPack.ini). 2. Wenn die Detailstufen ausgeschaltet sind, wir der Körper überhaupt nicht angezeigt, egal bei welcher Entfernung zur Kamera. Ähnliche Probleme entstehen mit dem Drachen im Urspiel; wenn man zu nahe an sie herankommt, verschwinden sie. — Wert erhöht von zPM_NUM_VBUFFER_VERT von 4096 auf 65535, was das Problem verschwindender Modelle löst. Wenn man nun Tessellation einschaltet und die Einstellungen der Detailstufen ändert, verschwindet nichts mehr. — Detailstufen aus, tessellation an: 109 BpS. Das ist ein einfacher Schutz vor einem unerfahrenen Benutzer, damit die Schnittstelle durch einen zu hohen Wert nicht berührt werden kann, weil die Situation wie am dritten Screenshot ausgeschlossen ist (zumindest mit originalen Spieltexturen). Hinweis: Man kann nun alle originalen Schnittstellenelementen des Spiels und die Schriften skalieren, die mit den Skriptpaketen und Erweiterungen erstellten Schnittstellenelementen werden NICHT skaliert! Beim Ein-/Ausschalten der Skalierungsoption, werden die restlichen Optionen zur Schnittstellenänderung im Spiel ignoriert (Abschnitt [INTERFACE], Optionen: "DialogBoxX", "DialogBoxY", "SubtitlesBoxX", "NewChapterSizeX", "NewChapterSizeY", "SaveGameImageSizeX", "SaveGameImageSizeY", "InventoryItemNoteSizeX", "InventoryCellSize" in SystemPack.ini), und verkehrt. — Im Spiel oder einer Mod müssen die Schilde von Moddern eingebaut werden, wofür sie gerne die Sachen aus unserer Moddatenbank nehmen dürfen: SystemPack_mdb.rar. — Wert der 4096 Polygon-Grenze in einem Modell geändert, um die Nutzung von hochpolygonalen Modellen zu erlauben; die Obergrenze liegt nun bei: ~40-45.000 Vertexen (~70-80.000 Polygone) in einem einzigen Modell. Modelle mit einer hohen Anzahl an Polygonen werden ohne Veränderungen am Spiel nicht dargestellt! — Änderbaren Wert für den Zwischenspeicher von 3D-Modellen und Animationen hinzugefügt, um bei der Benutzung von hochpolygonalen Modellen einen Absturz zu vermeiden. Dieser kann in folgender Datei gefunden werden: [SYSTEMPACK.ini] Einstellung: s_posCacheList. — Unterstützung für das OGG-vorbis-Dateiformat für Sprache und Geräusche hinzugefügt, um die Größe von Dateien, Mods und Erweiterungen für das Spiel zu verkleinern. Hinweis: Um mehr zu erfahren, wie man mit dieser Dateiart umgeht, gibt es die Datei "systempack_mdb.rar": "Ogg2Wav". — SystemPack.ini-Einstellungen können mit der Mod-Konfigurationen überschrieben werden. Die Section/Gruppe [OVERRIDES_SP] sollte dafür zur . *ini-Datei der Mod hinzugefügt werden. Nicht jede genannte Option wird in der INI-Datei verfügbar sein, da einige von ihnen von der Spiel-Plattform abhängig sind und dementsprechend aktiviert werden! ; Achtung: Die SystemPack.ini wird erst bei einem neuen Spielstart generiert, nicht vorher! ; ... Fix für GameUX and rundll32 Prozess auf OS WinVista, Win7, an (1) oder aus (0). ; ... Fix, löst das Problem bei Vertexbuffer, gerade bei radialen Texturen. ; an (1) oder aus (0), Standartwert ist 1, für alle Grafikkarten. Möglicher Leistungsverlust liegt bei 10-15%. ; ... Schaltet Fenstermodus ohne Rahmen ein - an (1) oder aus (0), Standartwert ist 0.
; sollte man nur benutzen, wenn man Schwierigkeiten mit dem Spiel im Vollbildmodus hat. ; ... deaktiviert die ungeraden Streams zum Spiel Ressourcen-Manager (ResourceManager), an (1) oder aus (0), Standartwert ist 1.
; ... Fix für den Schalter im Tempel des Schläfers, an (1) oder aus (0), Standartwert ist 1.
; funktioniert, selbst wenn es mehr als 1000 FPS sind, ich denke, es hat keinen Einfluss auf andere Schaltungen. 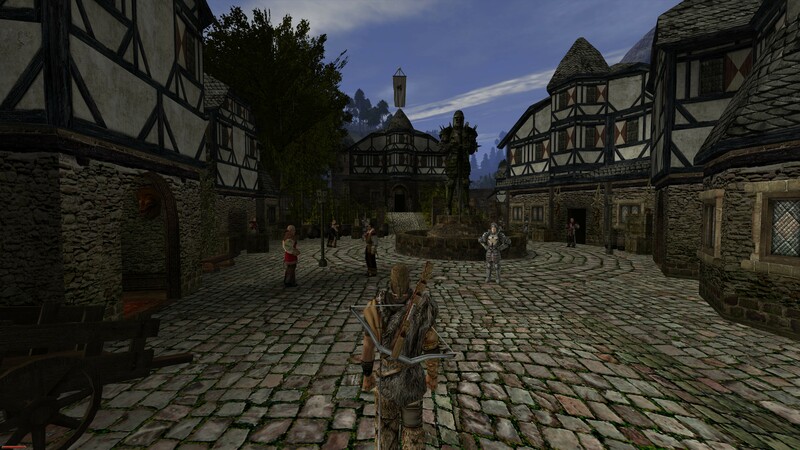 ; ... NummernBlockTaste dauerhaft in Gothic 1 deaktiviert, an (1) oder aus (0), Standartwert ist 1.
; ... deaktiviert das Entleeren des Speichers, wenn Spiel minimiert wird, an (1) oder aus (0), Standartwert ist 1.
; ... Schnell speichern/laden für Gothic 1, an (1) oder aus (0), Standartwert ist 1.
; Diese Funktion erfordert den 15-Speicher-Slot. Funktioniert mit den Tasten F5 => schnell speichern und F9 => schnell laden. ; funktioniert jetzt richtig in der Konsole, an (1) oder aus (0), Standartwert ist 1.
; ... Schaltet Änderungen für die Tastatur der polnischen Ausgabe des Spiels frei - an (1) oder aus (0), Standartwert ist 0.
; ... Korrektur der Feuer-Effekte in Gothic 1, an (1) oder aus (0), Standartwert ist 1.
; ... Seitwärts laufen während des Springens/Fallens erlauben, - an (1) oder aus (0), Standartwert ist 0.
; ... Zeige FPS-Zähler, - an (1) oder aus (0), Standartwert ist 0.
; Achtung: Der eingebaute FPS-Zähler zeigt keine Werte größer als 256 an. ; ... Schaltet die Ausgabe der Fehlermeldung "D: OBJ:?! Deleting an already deleted zCObject ?!" ab, - an (1) oder aus (0), Standartwert ist 1.
; ... Sperrt die Schwimmanimation beim Gehen - an (1) oder aus (0), Standartwert ist 0.
; ... Fix, Änderungen von Ping Skript Game_InitEnglish zu Game_InitEngIntl, an (1) oder aus (0), Standartwert ist 1.
; aber in der russischen Version, im Script Startup.d ist es Game_InitEngIntl, das ist der Grund, warum die EXE-Datei nicht mit der russischen Version funktioniert. ; für die Spielversion, die die Game_InitEnglish im Script in der Startup.d haben, muss der Wert auf (0) sein. ; ... automatisches Patchen der D3DIm700.dll für hohe Auflösung, an (1) oder aus (0), Standartwert ist 1.
; mit Einstellungen für: Gamma, Helligkeit und Kontrast. ; Windows 8 und 8.1 haben keine Schwierigkeiten mit den FPS, dies ist für jeden zu empfehlen. ; Einstellungen: Gamma, Helligkeit, Kontrast (nicht notwendig, aber oft verwendet). ; Vollbildmodus überhaupt nicht gehen. Nur für Windows 8 und höher. Standartwert ist 1.
; ... Fix für das Abspielen der Videoas auf allen OS, an (1) oder aus (0). ; ... Fix für Surround Audio System, an (1) oder aus (0). ; bei dem die SystemPackänderungen nicht gewirkt haben. ; ... automatisch eingestellte Möglichkeiten des 'Systempack' für Grafikkarten von nVidia und ATI - NICHT ÄNDERN! ; (linke Maustaste+W oder STRG+W), - an (1) oder aus (0), Standartwert ist 0.
; ... FPS-Grenze beim Drücken einer beliebigen Taste, - an (25-100) oder aus (0), Standartwert ist 0.
; für 16:9 Bildschirme – (50.625). ; ... Schaltet andere Arbeitsweise der Blickfeldberechnung an, um die Darstellung gestreckter Modelle zu vermeiden - an (1) oder aus (0), Standartwert ist 0.
; ... deaktiviert das LOD für *.3ds Modelle, - an (1) oder aus (0), Standartwert ist 0.
; möglicher Leistungsverlust liegt bei 10-15%. ; ... Schaltet Abschneiden von Gegenständen in Innenräumen ab - an (1) oder aus (0), Standartwert ist 1.
; ... das Aufploppen von Npc's (Distanz), Standartwert ist 4500.
; ... das "Verschwinden" der Npc's (Distanz), Standartwert ist 5000.
; Standart ist 1000, Messeinheit ist Millisekunde. ; ... Spielweltweitsicht - Einstellung, Standartwert ist 1.
; wenn im Spiel die Weitsicht auf 300% eingestellt ist: 10 für Gothic.exe, 26 für anderes. ; ... Portal-Distanz kürzen, Einstellungen, Standartwert ist 1.
; OutDoor – wenn der Held außerhalb eines Gebäudes/Dungeons ist, – ist draußen. ; InDoor – wenn der Held innerhalb eines Gebäudes/Dungeons ist – ist in einem Haus. ; Wood – Wald-Portal Render-Bereich, betrifft nur "GOTHIC1". ; ... Char-Drehgeschwindigkeit mit der Maus in "GOTHIC1", Standartwert ist 0.1.
; empfohlene Werte: von 0.1 zu 0.3, einstellbar immer zu 0.01.
; für Maus mit hoher DPI (4000 und höher), nicht mehr als 0.2.
; an (1) oder aus (0), Standartwert ist 1.
; ... Schaltet die Auswahl von Animationen für alle zugewiesenen Tasten ab - an (1) oder aus (0), Standartwert ist 0.
; ... Erzwingt Zuweisung von LMT und RMT (jede andere Taste klappt nicht), schaltet die Auswahl von Animationen für die RMT ab - an (1) oder aus (0), Standartwert ist 0.
; WARNUNG: Engine unterstützt nur Zuweisung von zwei Tasten je Handlung. Diese Einstellungen sind gegenseitig ausschließbar, gleichzeitig kann nur eine von ihnen den Dienst verrichten! ; wenn man Strg möchte, aber nicht die Animation will, verwendet man: No_Take_Anim= 1, RMB_No_Take_Anim=0. ; wenn man die Animation nicht auf die RMT legen möchte, verwendet man: No_Take_Anim=0, RMB_No_Take_Anim=1. ; wenn man die Animation möchte, verwendet man: No_Take_Anim=0, RMB_No_Take_Anim=0. ; ... Handelsverhältnis, - Min. (0.01), Max. (100.0), Standartwert ist 0.5.
; ... Gegenstanddrehung im Inventar, - an (1) oder aus (0), Standartwert ist: 1.
; ... Verstecke den Fokus von toten NSCs mit leerem Inventar, - an (1) oder aus (0), Standartwert ist 1.
; ... Setze das ITEM_THROW Flag, um das Werfen von Gegenständen zu erlauben, - an (1) oder aus (0), Standartwert ist 1.
; ... Wiederholtaste-Geschwindigkeit in "GOTHIC1", Standartwert ist 70.
; empfohlene Werte: von 10 zu 300.
; ... Zeit, bevor die Wiederholtaste betätigt wird in “Gothic I”, Standartwert ist 140.
; empfohlene Werte: von 100 zu 1000.
; ... Beleuchten vom NPC im Fokus, - an (1) oder aus (0), Standartwert ist: 1.
; ... Beleuchten von Gegenständen im Fokus, - an (1) oder aus (0), Standartwert ist: 1.
; ... Flimmern der Gegenstände im Fokus, - an (1) oder aus (0), Standartwert ist: 1.
; ... Unterbrechen der Kampfanimation, - an (1) oder aus (0), Standartwert ist: 0.
; Ein Standartregler für jegliches Nachhallen im Spiel, auch was die verschiedenen Nebengeräusche im Originalspiel angeht. ; ... Zeigt die sichtbare Darstellung der Barriere stets - an (1) oder aus (0), Standartwert ist 0.
; ... Schaltet die sichtbare Darstellung der Barriere ab - an (1) oder aus (0), Standartwert ist 0.
; ... Barriererausch ausschalten, - an (1) oder aus (0), Standartwert ist: 0.
; ... Barriereschaden ausschalten, - an (1) oder aus (0), Standartwert ist: 0.
; eingeschaltet (1) oder (1.1 ... und höher), n-malige Schnittstellenskalierung je nach Bedarf des Benutzers. ; höhere Auflösungen werden als maximal ausgelesen. ; ausgeschaltet (0), ohne Skalierung, Standartwert ist: 1.
; ... Menüskalierung starten, - an (1) oder aus (0), Standartwert ist: 0.
; ... Menügröße X für Skalierung, Standartwert ist: 640, gemessen in Pixeln. ; ... Menügröße Y für Skalierung, Standartwert ist: 480, gemessen in Pixeln. ; ... Einstellung für die Darstellungsgröße des Fenters von Dialog/Untertitel-Box (in Pixel). ; Standart im Spiel ist 1.
; dauerhaft sichtbar (2), Standart im Spiel ist 1.
; ... Einstellung für die Lebensenergie-Leiste: dauerhaft sichtbar (0), dauerhaft ausgeblendet (1), Standartwert ist 0.
; ... Die Größe der Benutzeroberflächenbestandteile im Spiel: ein neues Kapitel beginnen, Speichern des Spiels, Gegenstandsbeschreibung, gemessen in Pixeln. ; ... die Größe der Kästchen des Gepäcks ändern, - min. (10), Standartwert ist: 70, gemessen in Pixeln. 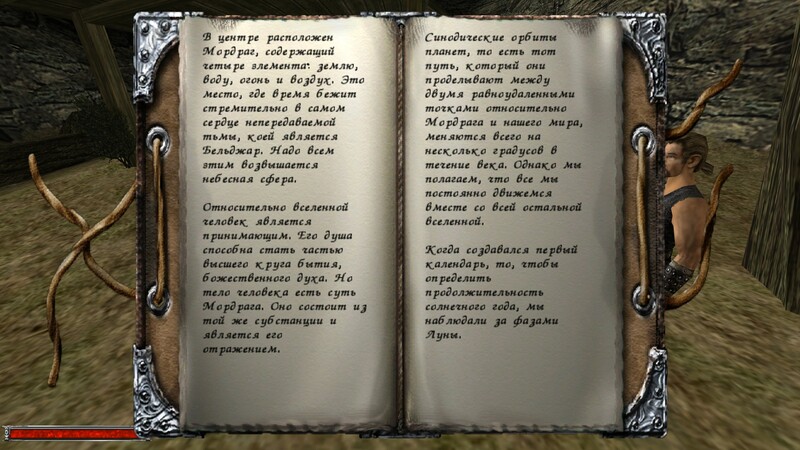 ; Wichtig: Diese Einstellung wird nur in "Gothic 1" berücksichtigt. ; ... Schaltet die Zeitverwaltung der Untertitelanzeige an - an (1) oder aus (0), Standartwert ist 0.
; muss eingeschaltet sein um die Untertitel zu verwalten. ; ... Der Zeitfaktor für Sätze mit Gespräch-Dateien. ; Dies bedeutet, dass ein Satz für eine Dauer von 10 Sekunden mit dem Multiplikator 2.0 geäußert wird, so dass die Untertitel für ihn 20 Sekunden lang angezeigt werden. ; ... Größtmögliche Zeitspanne in Sekunden, um die Untertitel ohne Sprachdatei anzuzeigen. ; ... Die Zeit in Millisekunden um ein Untertitelzeichen ohne Sprach-Datei anzuzeigen. ; zum Beispiel: TimePerChar = 200,0 und der Satz: "Können Sie mir beibringen, wie zu kämpfen?" enthält 42 Zeichen, d. h. er wird 42 * 200/1000 = 8,4 Sekunden angezeigt. ; ... Schaltet Änderungen, die für die Erweiterung "Die Rückkehr 2.0" entwickelt wurden - an (1) oder aus (0), Standartwert ist 0.
; ... "OutOfMemory"-Fehler im Ausgabefenster anzeigen - an (1) oder aus (0), Standartwert ist 1.
; ... Meldungsfeld zeigt die Fehlermeldung "OutOfMemory", - an (1) oder aus (0), Standartwert ist 0.
; oder aus (0), greift nur einen OutOfMemory auf, der auftritt, wenn Methoden der shw32.dll abgerufen werden, standardmäßig: 1.
; ... Angleichbarer Wert (im Bereich von 5 bis 300 MB) für die Sicherungs-Speicherbibliothek im Fehlerfall "OutOfMemory". ; Dieser Speicher wird für das Spiel nicht vorhanden sein, sondern erlaubt es, im Falle des Auftretens so genau wie möglich geschlossen zu werden. ; Standartwert ist 50 MB, in Megabyte gemessen. Keine - Patchen ohne Überprüfung. — Sollte eine andere Version des "SystemPack" vorhanden sein, deinstalliere es. — Lösche alle Packs oder Fixes, die installiert sind, welche Bugs oder Fehler fixen, die das SystemPack übernimmt. Es wird sonst für keine Garantie der Funktionalität gehaftet – die Kompatiblität wurde noch nicht getestet. — Sorge dafür, das Sound- und Grafiktreiber aktuell sind. 1. 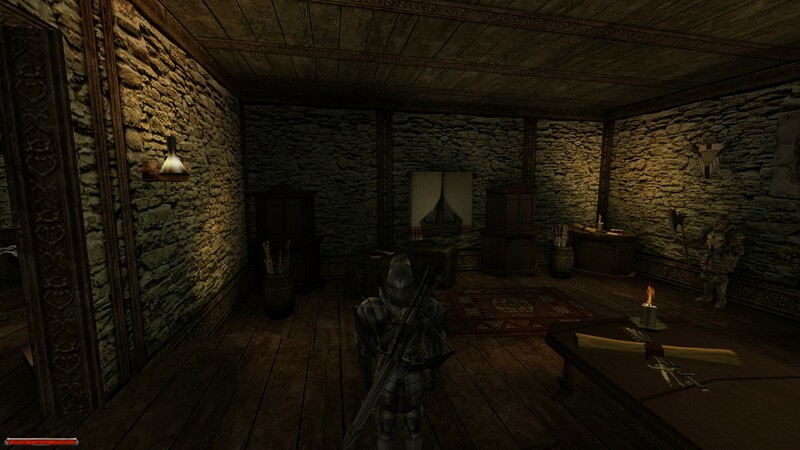 Installiere das Spiel "GOTHIC1"
1. 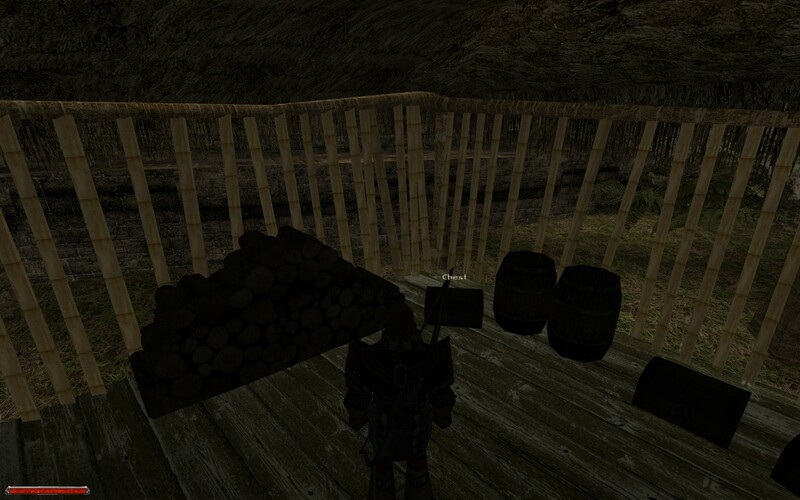 Installiere das Spiel "GOTHIC2"
Für "GOTHIC2: Die Nacht des Raben"
2. Installiere das Addon für "GOTHIC2: Die Nacht des Raben"
* - nur 'Die Rückkehr-2.0'. ** - ausgehend von dem Spiel-Addon, was benutzt wird. 1. 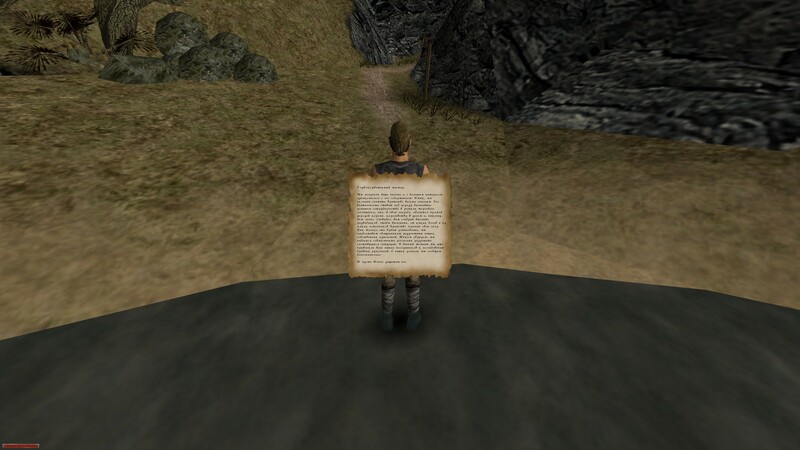 Installiere "GOTHIC2: Gold Edition"
— Added an option to use alternative FOV formula, models doesn't look slightly vertically stretched with it. — Killed from the back NPC goes into sDead state, instead of s_WoundedB animation. — Quck Save/Load buttons remapped from F9/F10 to F5/F9. — Added Polish keyboard support, and some Polish localization features. Detailed description will be little later. 3. For the version addon Returning-2.0 (build: 0056-0060), most of the settings of the file is transferred to SystemPack.ini Gothic.ini file to change the settings directly from the game, be careful! 1. Delete old version SystemPack uninstaller. Last edited by MaGoth; 19.06.2016 at 15:58.
könnte mir jemand nochmal die Systempack Version 1.5 für Nacht des Raben hochladen? Das wäre super, hab mit den neueren Versionen irgendwie Probleme. Iv got some issues with an older installation of g2notr include syspack and some mods, not sure what exactly it caused. So my question, are the savestates between older syspack versions and newer still compatible? If not, someone can re-upload v1.1 (or any of them 1/2-1 year ago) for me , please? I habe Probleme mit einer älteren Installation von g2ndr mit dem Syspack und nen paar mods, bin mir nicht sicher was da genau los ist. Also meine Frage ist, ob die Spielstände zwischen älteren und neueren syspack versionen kompatibel bleiben. Weiß das Jemand? Wenn nicht, kann mir dann Jemand die 1.1 oder irgendeine ältere von vor etwa 1/2-1 Jahr nochmal hochladen bitte? Thx for that from me either, I will try it with it, if the version is matter for savestate. btw, it wasnt possible for me to download from that link with my firefox config, dunno why, with chrome it works. And yea.. i think you heard a lot already, but I have to say THX for that good work, too. Without that pack, vanilla gothic would not even start on modern systems, so good job, keep it up! Iv read different install orders in several threads, what the things actually do and its matter which order exactly? 3. gothic starter (aka "playerkit") - (add starter exes) - for notr iv seen version 2.6f and 2.8, whats new in 2.8 and these are compatible? because they replacing/adding different stuff, so no any special order is need? 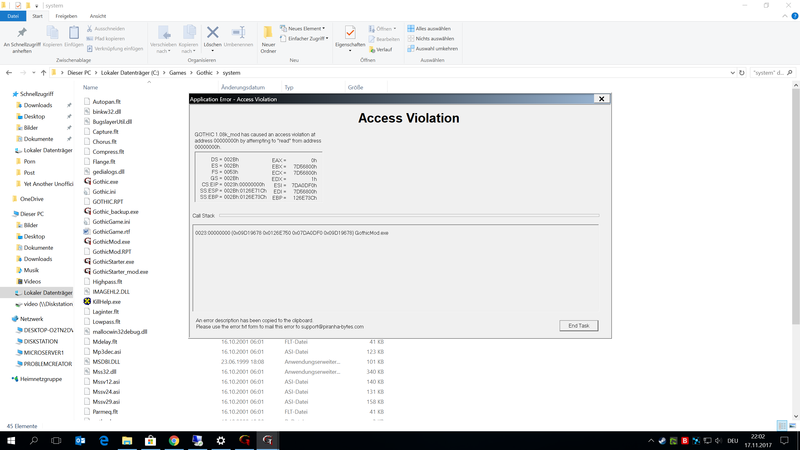 Greetings, just to report that i'm having the 'Access Violation' problem even with DEP turned off. Additionally, as my CPU has hardware-level blocking, i also disabled (Intel's) Execute Disable Bit. Still no go, same error. If it matters, am also on Win10, the G2 executable is already set to run as admin. Update: i'm an idiot.. refresh rate was set at 144Hz.. application prefered sorted it. I'm on!!!!!!!! Aah man, it's been so many years..
Last edited by anon-gamer; 03.11.2017 at 00:06. A new game is highly desirable.. If you want full G2-controls, use this tool: Gothic One Click Action (you can also get it on Spine). I used it in my first and pretty recent walkthrough of Gothic and was very pleasantly surprised. I recently found your post, I reinstall Gothic1 for testing "Gothic One Click Action", and it works for me also, THANKS. Is there somewhere a complete change list of all the changes that were introduced in the individual SystemPack versions? I consider such a Changelog.txt as good developer style... unfortunately I cannot find it anywhere. I discovered the possibility to Alt-Tab the game with SystePack is AWESOME! I want to ask you if is possible, for the Alt-Tab also the sounds of the game to stop(when the game is in the task bar) like on other games with default Alt-Tab working. Thanks alot, will try next days and report. I found out what the problem was, it had nothing todo with the systempack. I mixed an older english with newer german lhifer-mod, i guess that causing the other problems, too. Last edited by Mööp123; 09.11.2017 at 20:20. Hi MaGoth, are you working on another update for the SystemPack that fixes DEP? 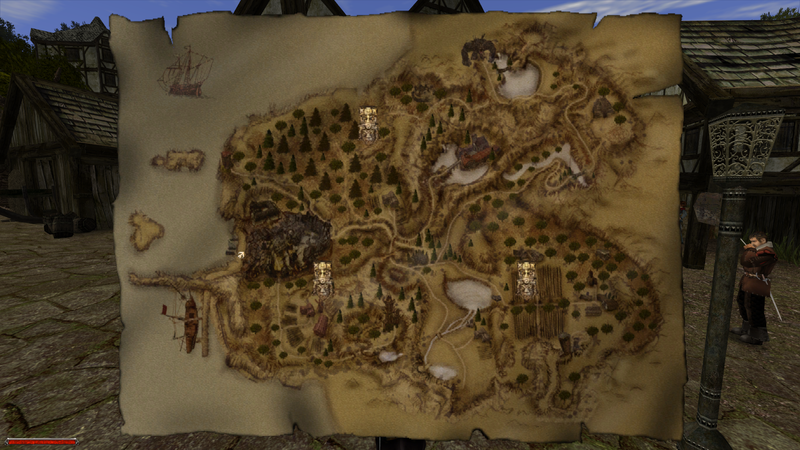 Gothic 1 startet nicht. Access Violation. Beim vierten Punkt komme ich jetzt nicht weiter. Was kann ich tun? edit: Hier ein Screenshot der Fehlermeldung. Ja, du musst Gsync leider komplett deaktivieren. Es reicht leider nicht aus, im Nvidia-Treiber ein Profil für Gothic zu erstellen und dort Gsync zu deaktivieren. Die Refreshrate kann aber problemlos >60 hz bleiben, ich spiele das Spiel selbst mit 165hz ohne weitere Probleme. Wenn du also Gothic spielen willst, musst du die Nvidia Systemsteuerung öffnen, dort darauf achten, dass Gsync aus und "Preferred Refreshrate" ggf. auf "Application-controlled" ist. Wenn du dann wieder ein anderes Spiel spielen möchtest, musst du Gsync wieder aktivieren und kannst ggf. "Preferred Refreshrate" auf "Highest available" setzen. Das muss man leider jedes Mal machen. Hoffe deshalb darauf, dass der Bug irgendwann behoben wird. Okay, das war auch mein Problem. GSYNC deaktiviert und es geht. Seltsamerweise tritt es bei Gothic 2 nicht auf, aber bei Gothic 1 schon. Last edited by Moe; 17.11.2017 at 22:28.
btw. what are the differences in PlayerKit 2.8 compared to 2.6f? @Mööp123: Kann ich auch nicht wiederfinden, aber habe den passenden Changelog vor ein paar Monaten hier im Thread gelesen. Version 2.8 erlaubt die Benutzung vom Playerkit für Gothic in Sprachversionen mit denen es vorher nicht oder nicht richtig funktioniert hat. Und es erlaubt das ausführen von SystemPack Befehlen/Einstellungen in der .ini Datei einer Mod, damit die Mod bei jedem die SystemPack Einstellungen benutzt, die sich der Modder vorgestellt hat. Hoffe ich hab mich an alles richtig erinnert. Das Playerkit 2.8 wurde mit dem Systempack 1.7 veröffentlicht. Daher steht es auch hier mit dabei. i do not know if that is fixed but when zspy is activated the mouse wont works.